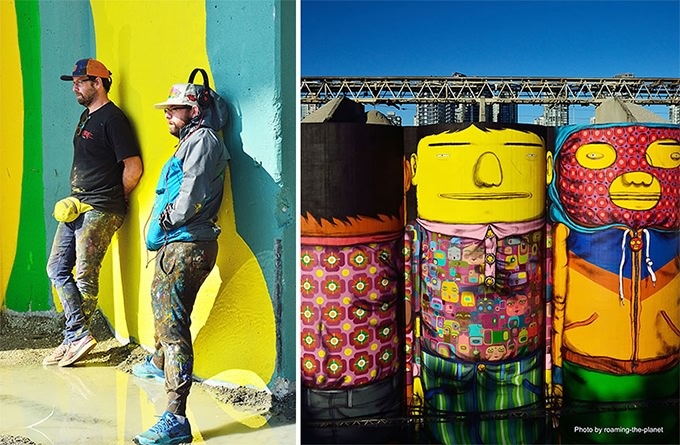 Twins Octavio and Gustavo Pandolfo, known as OSGEMEOS, are a team of talented artists who honed their craft on the streets of their hometown, Sao Paulo, Brazil. 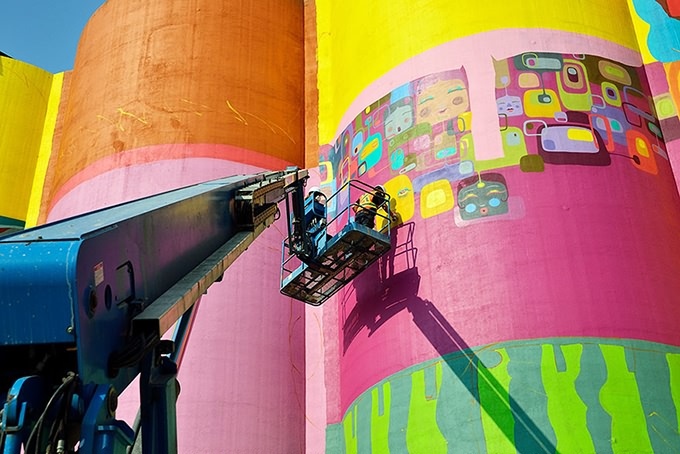 As a duo, they have painted airplanes, buildings and subway walls among others, but their latest work is their most grandiose yet. 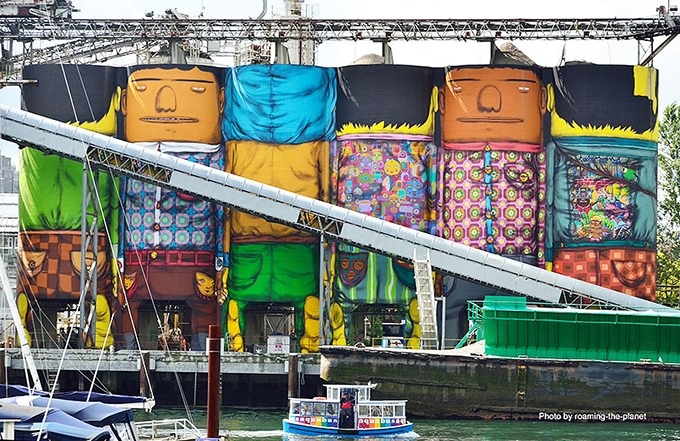 They have been working on a project called "Giants", creating massive murals all over the world, in countries such as Poland, Greece, Brazil, England, the Netherlands, Portugal, and the US. 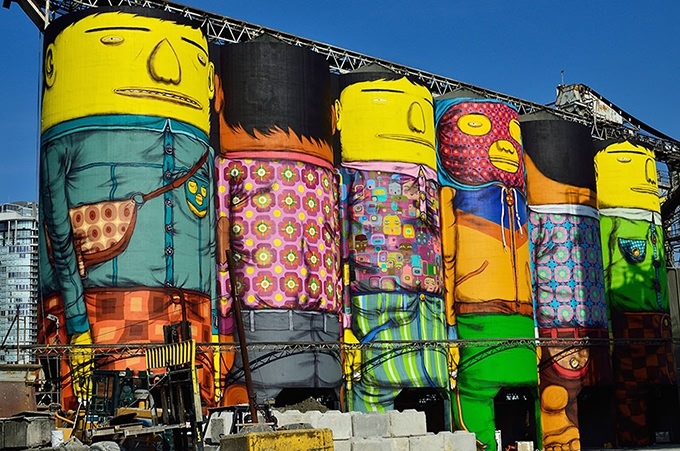 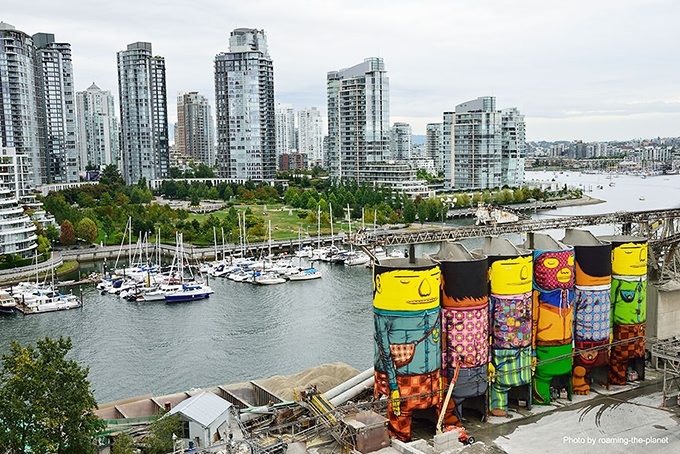 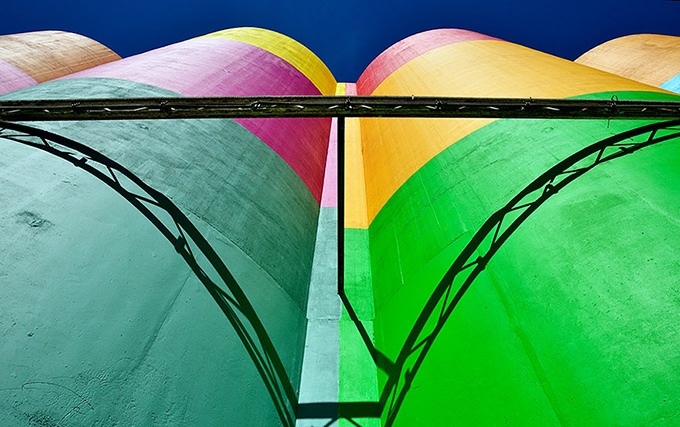 The latest chapter of their project was working on six 70-foot silos on Granville Island in Vancouver. 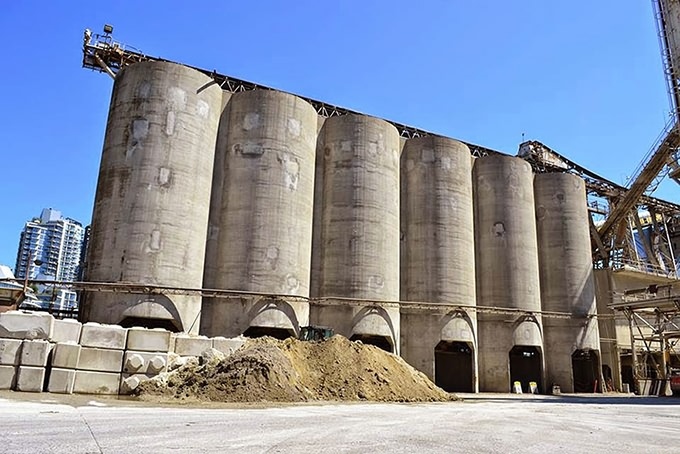 The silos, part of the Ocean Cement manufacturing and distribution plant, were their first work in Canada. 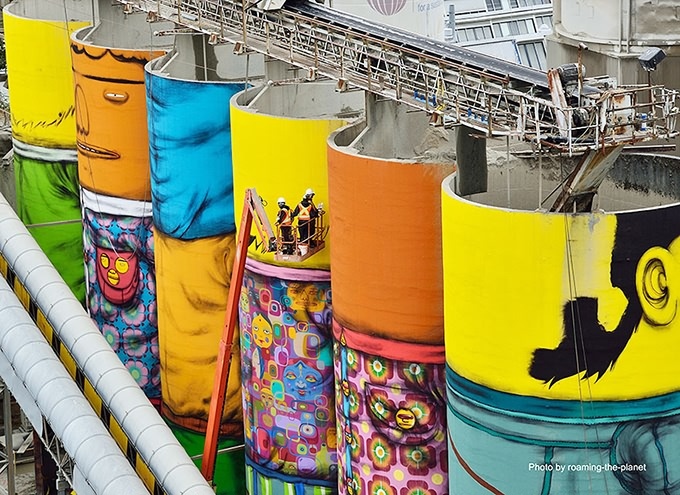 However, with each silo measuring 70 feet (22 meters) high and the mural covering a total of 23,500 square feet (7,200 sq meters), this piece is by far the biggest in their collection, and is their first foray into the three-dimensional mural format.